show router rsvp session "LSP 1"
Which of the following are the default settings for the Alcatel-Lucent 7750 SR when using LDP? Ordered control mode; downstream on demand. Independent control mode; downstream unsolicited. Ordered control mode; downstream unsolicited. Independent control mode; downstream on demand. R1 uses 15 seconds, while router R2 uses 30 seconds. What happens to the LDP adjacency? The "show router Idp session" command output displays the adjacency in state "init"
Fast reroute must first be enabled on the downstream routers. CSPF must be enabled on all downstream loose hop routers. across a single 1Gbps link? following statements are true? Choose two answers. A PUSH label stack operation must be performed. A POP label stack operation may be performed. The outgoing interface and next-hop address will be determined from the FIB. The packet can be forwarded as a labeled or unlabeled packet. header, and forwards unlabeled packets outside the MPLS domain? Selected labels from the FIB are populated to the LIB. All labels from the LIB are populated to the LFIB. Selected routes from the FIB are populated to the RIB. Selected labels from the LIB are populated to the LFIB. Selected routes from the RIB are populated to the FIB. When a device receives a labeled packet, which of the following can occur? The packet can only be forwarded as an unlabeled packet. The packet can only be forwarded as a labeled packet. The packet can be forwarded as a labeled or unlabeled packet, depending on the received label value. Which of the following describes what happens when facility backup fast reroute is enabled for a LSP? Each PLR will signal a bypass tunnel that avoids the next-hop node or link. local protection in use flag set to notify the ingress router that it is using the bypass tunnel. message to inform all routers along the protected LSP path to establish bypass tunnels. traffic onto its bypass tunnel. PLRs and MPs along the protected path. TTL of 251, which of the following statements is true? The packet will be label switched; the outer label TTL will be 249 and the inner label TTL will be 250.
they must be the same. The packet will be label switched; the outer label TTL will be 249 and the inner label TTL will be 251. The packet will be label switched; both the outer label TTL and the inner label TTL will be 250. Which of the following statements best defines an LSP? An LSP is a bidirectional path across the MPLS domain. An LSP is a unidirectional path between adjacent LSRs. An LSP is a bidirectional path between adjacent LSRs. An LSP is a bidirectional path for a particular FEC across the MPLS domain. An LSP is a unidirectional path across the MPLS domain. router R6. How many strict hops would you define in your path statement? Which of the following statements regarding the last two octets of the LDP identifier is true? It is always a random 16-bit number. It is always non-zero for per-platform label space. It is always zero for per-platform label space. It is always zero for per-interface label space. Which of the following prerequisites must you configure on a router to enable LDP-over-RSVP support? Configure the T-LDP peers for tunneling. 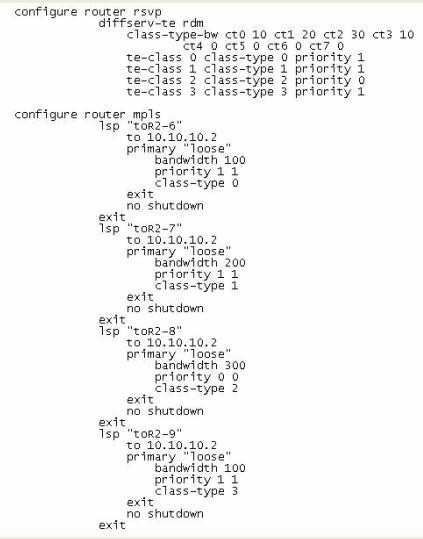 Configure tunneled T-LDP sessions between PE routers. 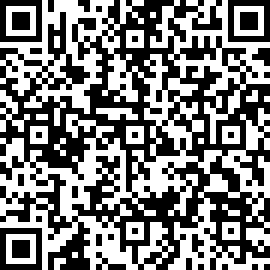 Which of the following statements regarding RSVP path messages on an Alcatel-Lucent SR is true? The path message's IP header options field sets the router alert option. The IP header HOP object reflects the upstream router's egress interface address. The IP header source address is the sender's egress interface address. The IP header destination address is the next-hop interface address. 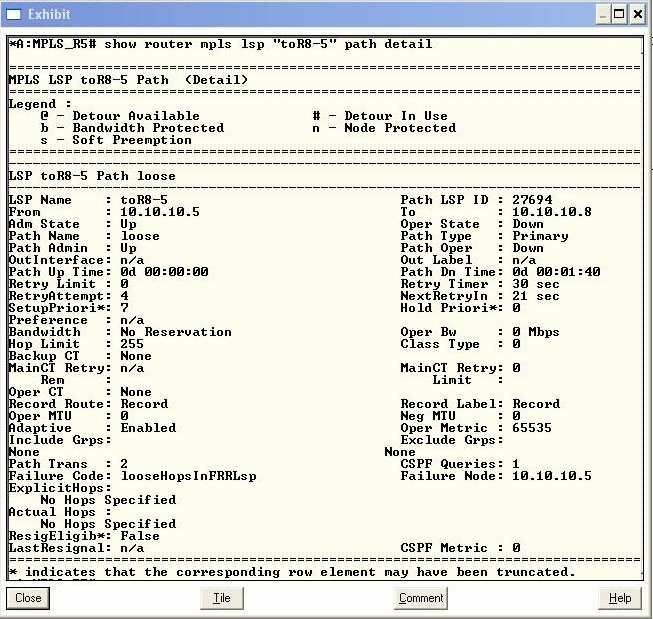 What is the function of the MPLS label assigned to a packet? It identifies the origin of the packet. Which of the following statements regarding DiffServ-TE LSPs is true? Using the Russian Doll Mode! (RDM), a CT1 LSP may use unreserved CTO bandwidth. In the Maximum Allocation Model (MAM), each CT receives dedicated bandwidth constraints. In the Russian Doll Model (RDM), a CT2 LSP automatically preempts a CT1 LSP.